If you have Xero integrated with your Practice Ignition account, and you enable payments for your proposals, your invoices will automatically be reconciled in Xero once the payment has cleared in your bank account. The first time a payment is processed in by Practice Ignition, a clearing account will be automatically created in your Xero Chart of accounts, called PI Clearing Account. As payments clear, they are listed as debit transactions in the clearing account, and linked directly to the corresponding invoice, marking it as paid. 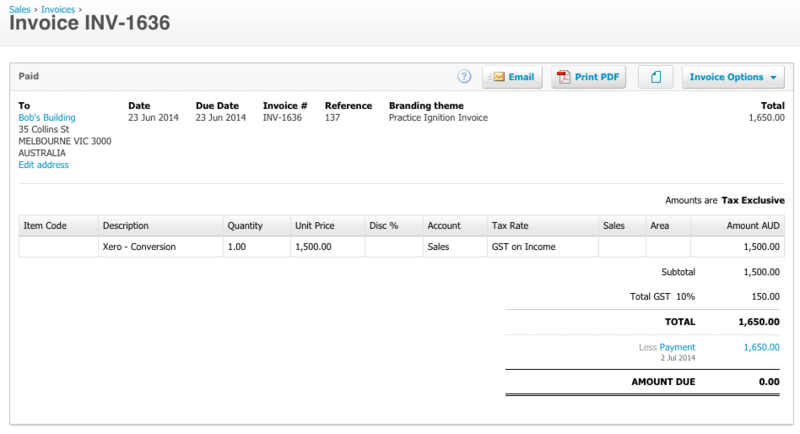 And we can see the payment has been applied to the invoice and it is marked as paid. When your invoices reach their due date, we start the collection process from your clients, for Credit Card transactions they may clear in 24 hours, for Direct Debit it may take between 3 to 8 business days. 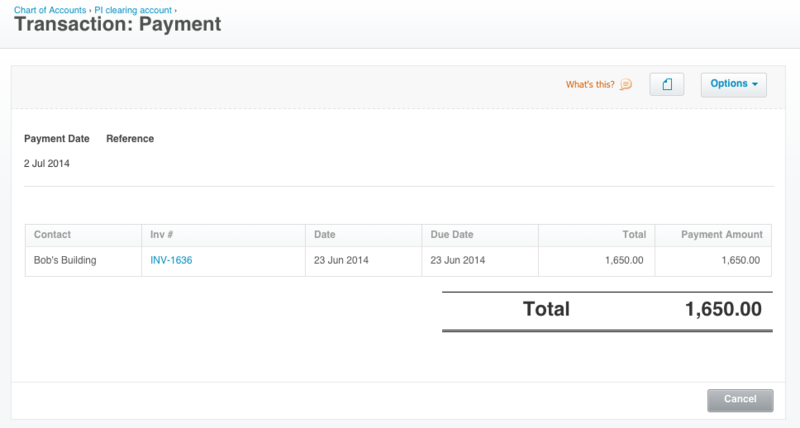 Each day we pay you a 'Practice Payment' which is a lump sum of all the client payments that have cleared overnight. 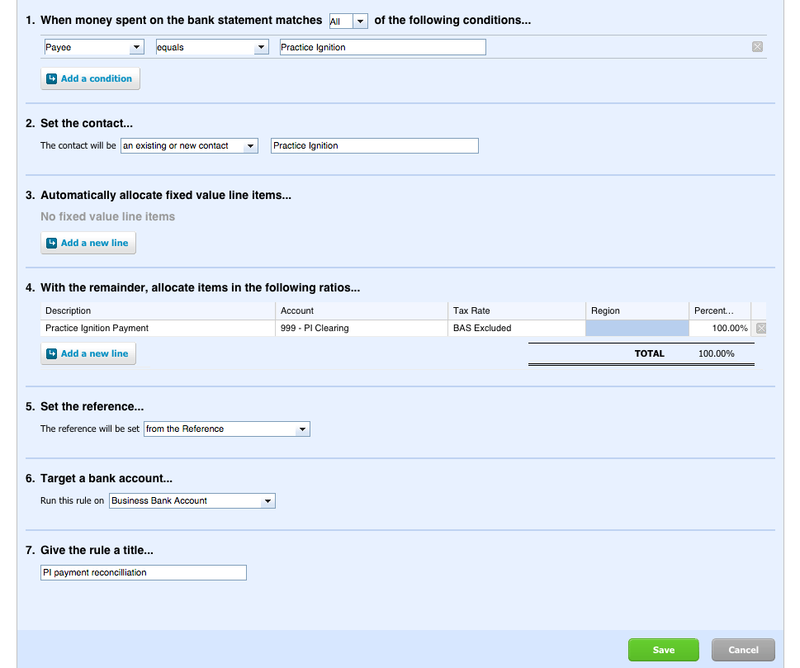 If you wish to reconcile your bank statements as well, you will need to allocate each of these Practice Payments to the PI Clearing account to balance them. Below is a screen shot example of the rule you will need to create.